Its finally a good news to the iPhone users, no more quick battery drain as Apple provides you with smart battery to work with. This is smart battery so forget about power bank, when it was first announced many though its a lie but finally turns true. Imagine having your phone lasting for more than 24hours because battery has been one of the issue iPhone devices is having and this is one of the way to get them covered. This smart battery is said to be working with just latest iPhone XS, iPhone XS MAX and iPhone XR for now maybe still working on how to compensate others though it has already being sold for iPhone 6s and iPhone 7 phone in the past. Its a Smart Battery inside casing that's why its been called Smart Battery Casing , it cover your phone making it to look nice and beautiful that mean you're not only enjoying battery also casing. Smart Battery Case is available in two colour option black and white at the price of $129. Apple doesn't say how large the batteries inside its Smart Battery Cases are. However, the company claims that with one installed, the iPhone XS will get up to 33 hours of talk time, up to 21 hours of internet use, and up to 25 hours of video playback. The iPhone XS itself is listed as having up to 20 hours of talk time, up to 12 hours of internet use, and up to 14 hours of video playback. The iPhone XS Max's Smart Battery Case will get you up to 37 hours of talk time, up to 20 hours of internet use, and up to 25 hours of video playback. That compares to up to 25 hours of talk time, up to 13 hours of internet use, and up to 15 hours of video playback for the iPhone XS Max on its own. 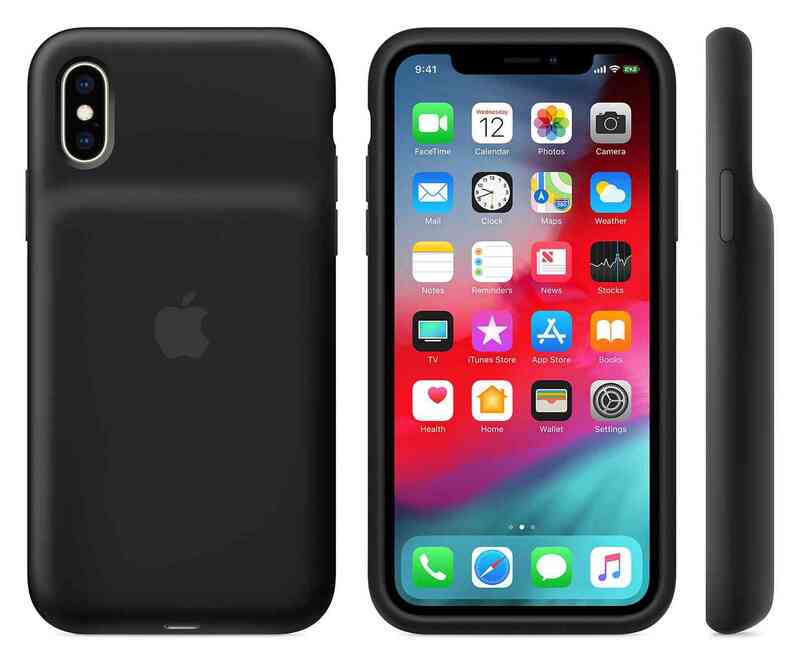 Also the iPhone XR's Smart Battery Case will provide up to 39 hours of talk time, up to 22 hours of internet use, and up to 27 hours of video playback. To compare, the iPhone XR on its own can get up to 25 hours of talk time, up to 15 hours of internet use, and up to 16 hours of video playback. As said earlier this has been sold before but this new models offer a better update comparing the former one to this new month. The previous one I mean the previous Smart Battery Cases had a rectangular hump in the middle, but these new models have a hump that extends all the way to the bottom, covering the bottom two-thirds of the case which is going to make the updated models a bit easier to hold compared to the previous versions. I hope this is cheap enough to a certain consideration, just getting this at the price of $129, so its time to save your battery or going around with power-bank. 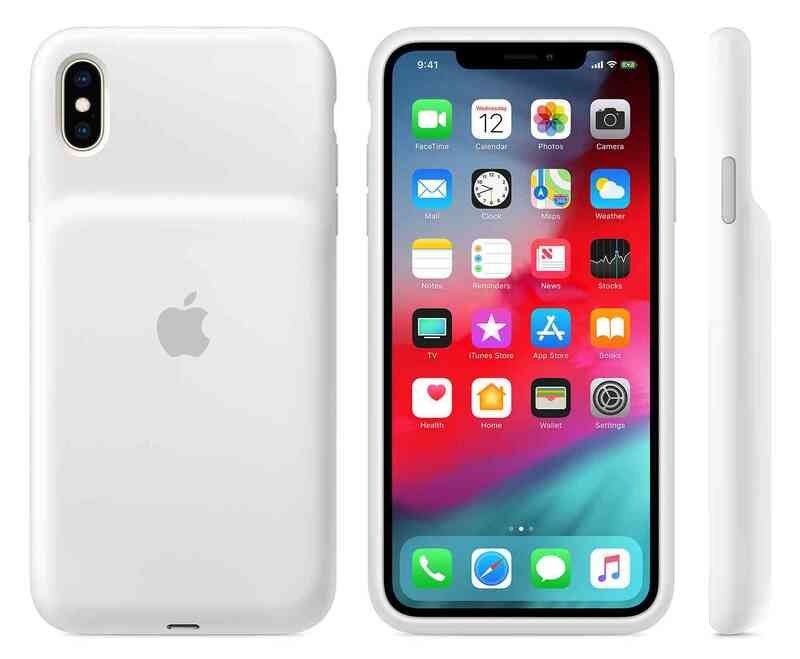 However this is Apple official accessories for the recent new iPhones, so feel-free to buy one for yourself, save battery and protect your phone at the same time.